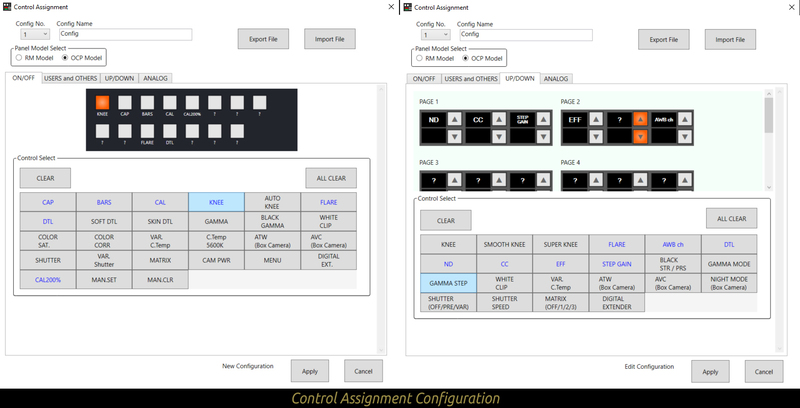 Ikegami's new software based Virtual Control Panel (VCP) is an application to control up to 5 cameras from a single Windows PC. With customizable buttons and slide bars, each Control Panel can be set-up seperately for each camera. 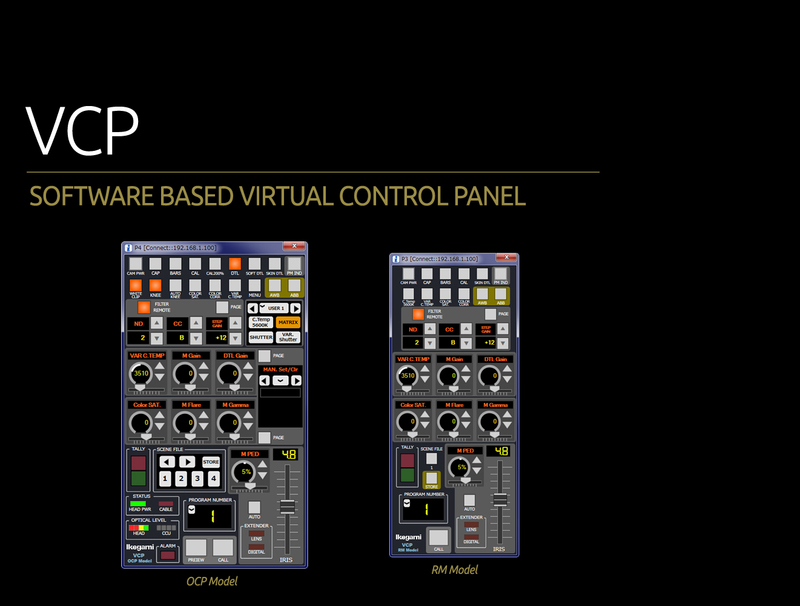 Depending on the desired control depth and budget, different licences are available for purchase, reducing the price drastically compared to our OCP-300 and OCP-100 control panels. 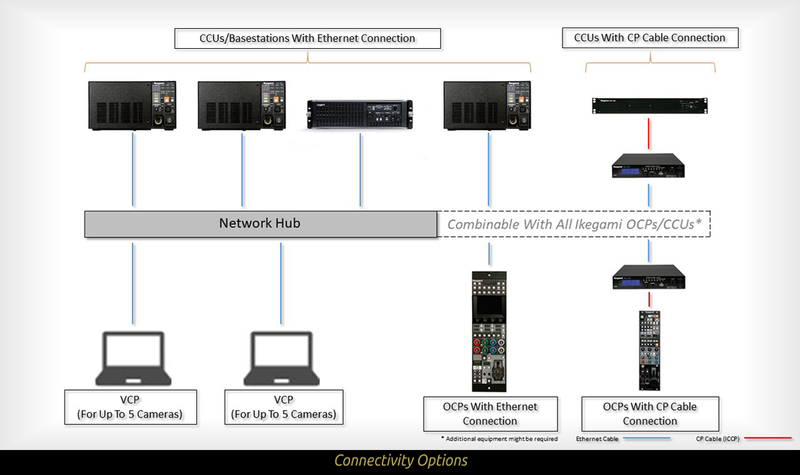 It is possible to combine multiple VCPs with our conventional OCPs via a local network.